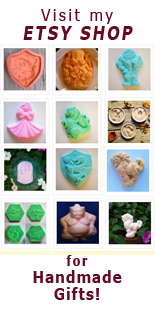 These seem to be everyone’s favorite yummy thing made from the Puppy mold. The recipe is also on the back of the Puppy Mold’s box. Dalmatian Puppy Cookie made with ZANDA PANDA's Puppy Mold! Cream butter and sugar until light and fluffy. Add eggs, vanilla and almond extracts. Mix well. Mix dry ingredients together and add gradually to egg mixture. Mix until flour is completely incorporated. Chill for 1 to 2 hours. Lightly dust Puppy Mold with flour. For one big, round cookie, roll cookie dough into a 9” circle, then press into the mold. 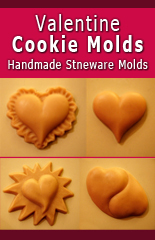 For individual Puppy Cookies, dust mold with flour and press dough into the puppy shape of the mold. For best detail, bake right in the mold, but cookies can also be baked on a cookie sheet. Bake 7-12 minutes, depending on thickness, until edges are golden brown. 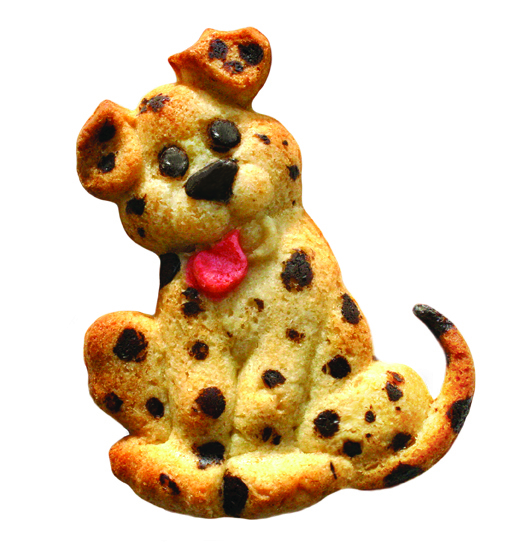 To make a Dalmatian Puppy Cookie: Paint melted chocolate directly into the mold for eyes, nose and spots. For a pink tongue, add a tiny bit of red gel food coloring (use a toothpick) to a small amount of dough, blend and press into the mold. Then gently press cookie dough into just the puppy shape of the mold. Bake at 350 degrees F for 8-12 minutes, depending on thickness. Melted chocolate can also be painted on the cookie after baking, using a small artist’s brush. BTW, we’re taking reservations on the first shipment of Puppy molds. 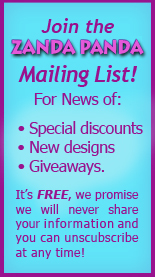 Also, when you join the ZP mailing list, we’ll send you a coupon code for a discount on your Puppy mold!